There are few more tragic circumstances than accidents or intentional harm that result in a victim’s death. In addition to cutting short the victim’s life, those events can be devastating for survivors who will be forced to carry on after the loss of a beloved friend or family member. A loved one’s life can never be replaced, but the laws in New York State provide an opportunity for both the victim’s estate and for his or her family members to recover financial damages as compensation for their loss. The negligence and accident attorneys at Manhattan’s Friedman, Levy, Goldfarb & Green represent estates and family members in wrongful death and survival actions. We aggressively fight for the maximum compensatory damages our clients are entitled to under the law. In New York State, a wrongful death lawsuit can be filed by the personal representative of the estate of a person who died as a result of an accident or another person’s intentional act. The representative must file the lawsuit within two years of the victim’s death. A probate court’s appointment of a personal representative may take several months, and a victim’s family will need to take extra care to meet the deadline for filing the lawsuit. In a wrongful death action, the personal representative can seek compensation for funeral expenses, loss of income, and the value of lost companionship and parental care of children. Other damages may also be available depending upon specific circumstances. In general, damages in wrongful death actions will compensate a victim’s surviving family members for their financial losses. Survival action lawsuits are filed directly on behalf of a deceased victim, and are appropriate where the victim did not die immediately but survived for a time after an accident or intentional act. Damages in survival actions include compensation for medical expenses and a victim’s pain and suffering between the time of an accident or intentional act and the victim’s death. The damages will be paid into the victim’s estate and will be paid out to the estate’s heirs during the probate process. The statute of limitations clock for filing a survival action begins to run on the date of the accident that ultimately leads to his or her death, but that deadline can be extended depending on the amount of time that has lapsed between the accident and the death. 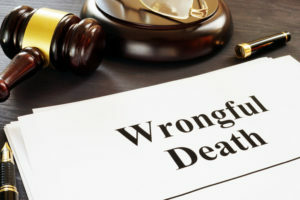 Filing a Wrongful Death Lawsuit, a Survival Action, or Both? Wrongful death lawsuits are appropriate to seek compensatory damages for fatalities that occur immediately in automobile accidents. Both a survival action and a wrongful death lawsuit may be justified where a victim slips and falls, and lapses into an extended coma before passing away. In general, damages in wrongful death actions will be paid directly to surviving beneficiaries, and unlike damages in survival claims, wrongful death damages will generally be shielded from insurance companies and other claimants that seek reimbursement for any expenses that they might have paid out. Experienced accident and negligence attorneys will therefore file claims that maximize the financial recovery that may be available to survivors, which may include wrongful death claims over survival actions. Before you recover damages in a wrongful death lawsuit, the attorney who is representing the victim’s personal representative will need to prove that the victim’s death was caused by someone else’s negligent conduct or intentional act, that if the victim had not died he or she could have filed a personal injury lawsuit, that another person suffered some damages because of the victim’s death, and the victim’s estate is entitled to recover those damages. A similar set of proofs will be required before damages are awarded in a survival action, but these actions will often involve additional matters such as the victim’s medical expenses and the pain and suffering that the victim experienced between the time of the accident and his or her death. In each case, a knowledgeable accident attorney will advise the victim’s personal representative on how the case will proceed and on what documents and other evidence will be needed to verify claims for damages. The emotional upheaval that results from a family member’s accidental death can be overwhelming. The wrongful death attorneys at Friedman, Levy, Goldfarb & Green, P.C. have helped countless families to survive those upheavals and to recover the compensation that they deserve when a loved one dies as a result of another party’s negligence. 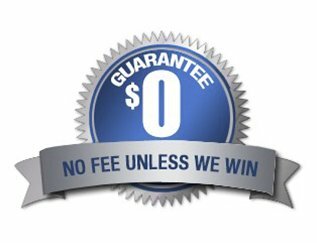 We have counseled clients in Manhattan, the Bronx, Brooklyn, all 5 boroughs and Long Island on filing wrongful death and survival actions against responsible parties and on recovering the largest damages awards that may be available for the victim’s estate and heirs. If a tragic death has touched your family, please call us to speak with one of our experienced wrongful death lawyers as soon as possible after the events that caused your loved one’s death. We will analyze the circumstances that caused the death and pursue all responsible parties to make your family whole again.